Choosing the right painting contractor to help you protect and beautify your home can be an overwhelming task, especially if you’ve never hired anyone to do a home improvement project before. Let’s face it, painters don’t exactly have the best reputation to begin with, and the last thing you want to do is to get ripped-off by some guy wearing white pants. You want to be an educated consumer. So where do you start? What do you look for? What do you look out for? There’s no shortage of resources available to you when you’re trying to locate prospective painting contractors, but there’s also no guarantee that any of the random names you’ll find while searching the web or browsing through the phone book will be reputable contractors. I know what you’re thinking……“Who uses the phone book?” But my point is that you need to know where your best resources are if you’re going to start the process off on the right foot. Generally speaking, the highly reviewed contractors you’ll find on these websites tend to be more quality-conscious and are more concerned with exceeding their customers’ expectations. See the Annual Homeowner Survey on the BBB's website that shows contractor referral sources ranked by consumer trust. After you’ve selected a few companies that have piqued your interest it’s time to get bids. It’s always a good idea to get multiple bids for comparison purposes. Avoid the temptation of choosing a prospect simply because they have the lowest bid price, as that is by far the most dangerous way of selecting a contractor. But a little healthy competition never hurt anyone and it helps to keep prices at a reasonable level. A good rule of thumb is to collect three bids before making your decision. Now, you may have to contact more than three companies in order to get your three bids because some of them may be back-logged with work and, unfortunately, some of them are just not very good at returning phone calls or emails. One of the biggest reasons why people end up dissatisfied with their contractor is that they didn’t know the right questions to ask before they made their decision. When you meet with your contracting candidates you should treat it like a job interview. They are literally interviewing for your job so don’t be afraid to ask tough questions. The time to find out information about your contractor is before you hire them, not after. If you’ve done your homework up to this point you can assume that anyone giving you a bid is probably a reputable contractor, so be respectful when questioning them. But if they’re too proud or too busy to take the time to answer questions about the things that are important to you now, then you can probably also assume that they will be too proud or too busy to take the time to address your concerns during and after the project. If you’re not asking the right questions then your decision will most-likely be based solely on price. But remember, you’re not looking for the best price. You’re looking for the company you can trust to provide you with a quality job and give you the best value for your money. To be certain you’re asking the right questions you can download a copy of our free guide on How To Choose a Painting Contractor for a great interview question checklist. 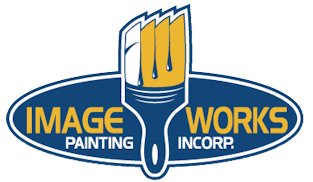 Your final act of due diligence in choosing a painting contractor is to check their references. Any contractor worth their salt will have a complete list of references they will provide you with so you can check out their work for yourself. Now you can choose with confidence. Now that your project turned out exactly the way you envisioned it would…Pay It Forward. Help your neighbors out by posting a rave online review of your experience, or agreeing to serve as a reference for the next person who's needing help choosing a painting contractor for their project.